Talibanization (or Talibanisation) is a term coined following the rise of the Taliban movement in Afghanistan referring to the process where other religious groups or movements come to follow or imitate the strict practices of the Taliban. a discriminatory attitude towards non-Muslims such as sumptuary laws against Afghan Hindus the Taliban regime enacted, requiring them to wear yellow badges, a practice reminiscent of Nazi Germany's anti-Semitic policies. The term was used in a Boston Globe editorial published on November 6, 1999, warning of the emerging threat of the Taliban regime almost two years before the attacks of September 11, 2001. Following the takeover of the Gaza Strip in June 2007, Hamas has attempted to implement Islamic law in the Gaza Strip, mainly at schools, institutions and courts by imposing the Islamic dress or hijab on women. While Ismael Haniyeh officially denied that Hamas intended to establish an Islamic emirate, in the two years since the 2007 coup, the Gaza Strip has exhibited the characteristics of Talibanization, whereby the Islamist organization imposed strict rules on women, discouraged activities commonly associated with Western or Christian culture, oppressed non-Muslim minorities, imposed sharia law, and deployed religious police to enforce these laws. Palestinian researcher Dr. Khaled Al-Hroub has criticized what he called the "Taliban-like steps" Hamas has taken. In an article titled "The Hamas Enterprise and the Talibanization of Gaza", he wrote, "The Islamization that has been forced upon the Gaza Strip – the suppression of social, cultural, and press freedoms that do not suit Hamas's view[s] – is an egregious deed that must be opposed. It is the reenactment, under a religious guise, of the experience of [other] totalitarian regimes and dictatorships. A 2005 research by Eli Berman of UC San Diego and the National Bureau of Economic Research drew a number of parallels between Hamas and Taliban. 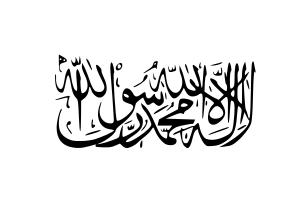 Researchers noted that Taliban and Hamas are both highly ritualistic, extremely conservative Muslim groups, which augment the prohibitions of mainstream Islamic practice, and tend to segregate themselves from other Muslims and to be intolerant of deviation. The term is also used non-literally, and is applied to non-Islamic bodies and organizations by those who allege them to hold "repressive policies" based on their respective religions. In addition, some members of the left in the United States may use it as a criticism of the Republican Party and the Christian Right in their allegations of the radical right wing implementing policies based on Fundamentalist Christianity. Sometimes, different analogous neologisms are used by the accusers, such as allegations of "saffronization" used to describe or critique right-wing policies related to Hindu nationalism or as a slur used by far left and anti-Hindu groups. Radicalized Muslims often exploit the resonance with this term to attack Hindu nationalists as kafirs (infidels) and "Hindu Talibs". The term has also been used to denote Sikh Extremism (Khalistan) In India, the far-left Naxalite terrorists beheaded Police inspector Francis Induwar in the state of Jharkhand in 2009. The action has been compared to the tactics of the Taliban, and fears exist that the leftists in these areas are "Talibanizing"
Like any highly politicized term, it may also be used hyperbolically or in an alarmist manner, to make a slippery slope argument, such as in the invocation of the phrase "Talibanization of Bradford" to discuss a gamut of common racial problems and tensions which fall far short of the imposition of sharia law and terrorist attacks. It may also be applied unfairly by those who do not understand Islamic culture and the basis of sharia law, or who fail to distinguish between moderate Islamic and extremist Islamist states, or misapplied to perceived threats which are not true or have yet to be proven. ↑ "Border Backlash". MSNBC. 2006-07-31. Archived from the original on 2007-01-12. Retrieved 2007-01-13. ↑ "Terrorism Monitor: Afghanistan and Pakistan Face Threat of Talibanization". Jamestown Foundation. 2006-05-18. Archived from the original on 2006-11-21. Retrieved 2007-01-13. ↑ "Reading the Musharraf-Bush Summit - Seven Clues to What Lies Ahead". Indo-Asian News Service. 2006-09-26. Retrieved 2007-01-13. ↑ "Sharia Law Threatens Nigeria's Stability". Center for Religious Freedom. 2002-03-27. Archived from the original on 2006-01-09. Retrieved 2006-01-13. ↑ "Talibanization of Malaysia: It destroys 100 year old Hindu temple". History News Network. 2006-04-16. Retrieved 2007-01-13. ↑ "Talibanization of Kashmir". A Soul in Exile (blog). 2006-08-13. Retrieved 2007-01-13. ↑ "The threat of Talibanization". Boston Globe. 1999-11-06. Retrieved 2007-01-13. ↑ The Hamas Enterprise and the Talibanization of Gaza, by Khaled Al-Hroub, Al-Ayyam (Palestinian Authority), October 11, 2010. Translation by the Middle East Research Institute, October 22, 2010. ↑ "INDIA: Righting or rewriting Hindu history". Inter Press Service. February 2000. Retrieved 2007-01-13. ↑ "The Pitfalls of Pluralism: Talibanization and Saffronization in India". Winter 2004. Archived from the original on 2006-09-03. Retrieved 2007-01-13. ↑ Singh Safa: The Talibanization of Sikhism The invention of new rituals by the Singh Sabha was aimed at reasserting 'social control' (p. 109). This imposition of artificial homogeneity by the Tat Khalsa was tantamount to what I have termed the 'Talibanization' of Sikhism. ↑ Fjordman (2006-07-13). "Beheading Nations: The Islamization of Europe's Cities". The Brussels Journal. Retrieved 2007-01-13. ↑ "Crushed between the two extremes". Independent Centre for Strategic Studies and Analysis. 2003-06-14. Retrieved 2007-01-13.